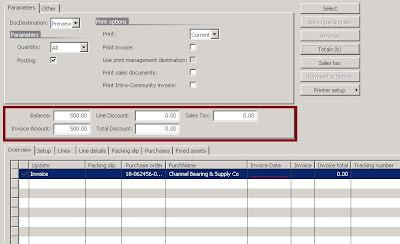 Usually you can see these values when clicking the Totals button from the PurchEditLines Form object in AX 2009. 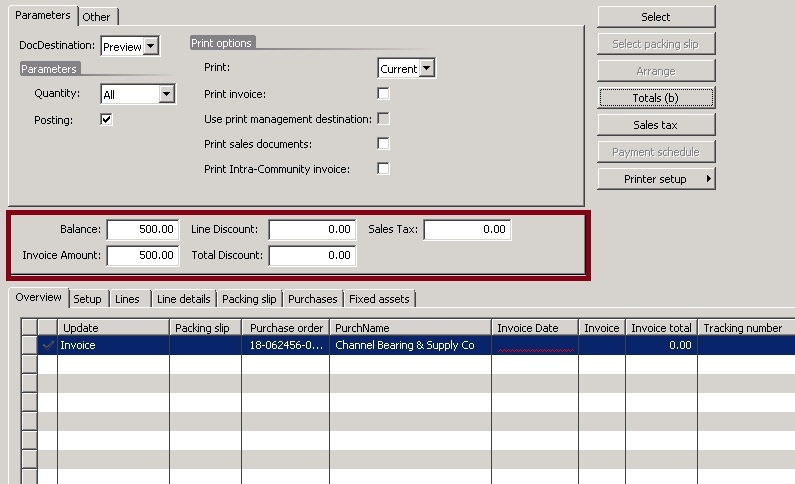 When you clicked the Totals button the PurchParmTableTotals Form gets activated and the PurchTotals class gets instantiated. So I needed to basically replicate what this form is doing to present the values we see above in the PurchEditLines form as show below.